The Royal Super Orthopaedic Mattress is 11 inches, (28cm), deep and finished in luxurious Cream Belgian damask fabric. 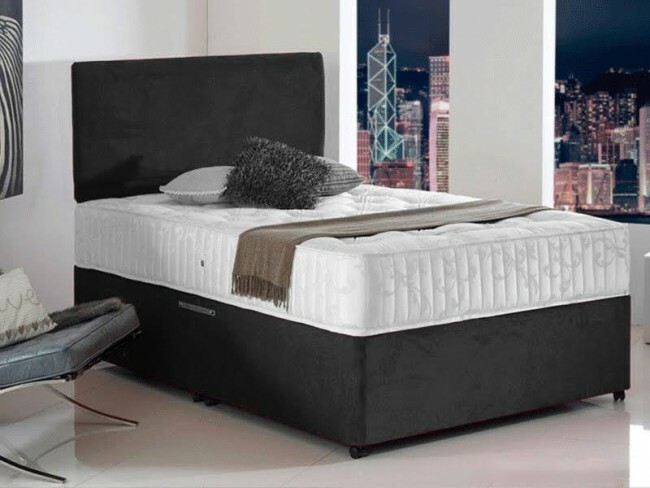 With a firmness rating of 8 out of 10 – Extra Firm, it is suitable for those who prefer a firmer, more supportive sleeping surface, from the fabric to the quilting layers to its superior design you can rest assured of a great night's sleep.This open coil spring system is a firm feel traditional coil mattress which is suitable for those who prefer a firm sleeping surface. The mattress has generous layers of reflex foam, cotton and compressed polyester moulded on a 12.5 gauge spring unit. This mattress will give you a restful night sleep easing daily aches and pains. Designed to offer firmer support, No roll-together for less partner disturbance.